Mercedes is bringing an ultra-luxury G-Class convertible to Geneva: the Mercedes-Maybach G 650 Landaulet with a V12 engine and 630 hp. First pictures and video! 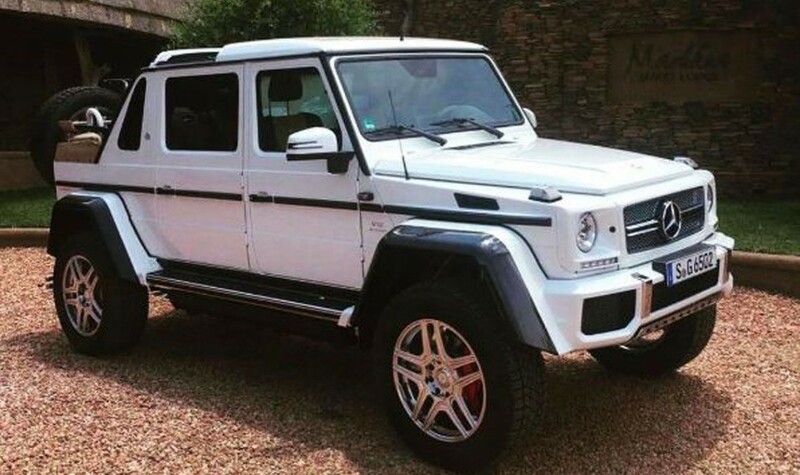 This morning Mercedes regaled his Facebook followers on a mysterious picture of a seemingly open G-class. The car turns even more eccentric than expected. The Mercedes G-Class Cabrio was leaked! Shortly after Daimler had published a teaser image of the open G 650, a photo and a video appeared on Instagram. The material shows that the new Mercedes is a Landaulet – because the roof can only be opened above the rear half of the car. It appears not to ‘just’ to a G convertible, but an extra long drop-top version. A real Landaulet! Despite earlier reports suggesting the new G-Class convertible will be part of the Mercedes-AMG line-up, it will be in fact positioned under the Mercedes-Maybach sub-brand: Mercedes-Maybach G 650 Landaulet will be the official name of the car. With the G 650, the engine from the G 65 is used, a six-liter V12-Biturbo with 630 hp. 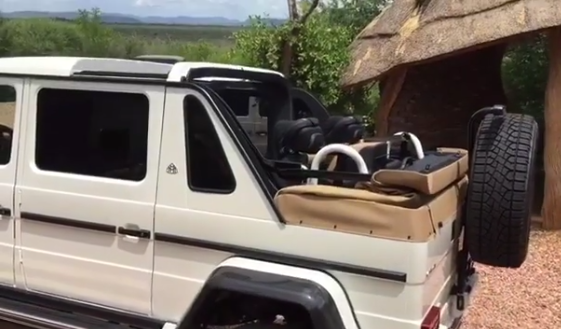 Base seems to be the G 500 4×4² with extended wheelbase. In addition, electric kickboards are installed, which for the 4×4² are only available as a retrofit. The leaked video also confirms that the G 650 retains the portal axes of the G 500 4×4². The expected price is 280,000 to 300,000 euros. It started with a girl named Mercedes…. Nice model. I like it.